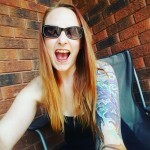 We recently got to go to Casino Rama Resort in Ontario’s Lake Country for our Bachelorette Girlz Getaway to celebrate my Baby Sister getting married. The food at Casino Rama has always astounded me. It’s always impeccable. 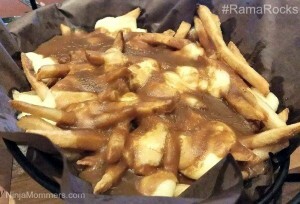 There are many Great Restaurants at Casino Rama and I have tried a few in our last few visits. St. Germain’s has always been our go to and the Weirs for Breakfast is always delicious. This time I decided to try something different and we got reservations for dinner before our Wanda Sykes show. 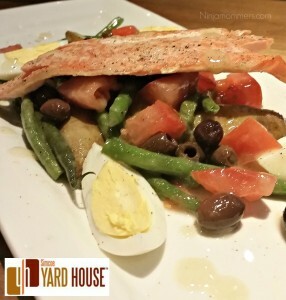 We couldn’t wait to try the Simcoe Yard House! We ordered a few drinks and some amazing appetizers to munch on, we wanted to try everything! We couldn’t believe how delicious everything was. 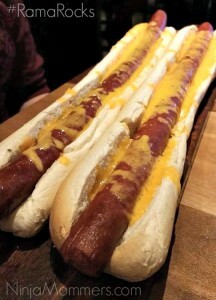 My friend “A” decided to go for the hot dogs, although the waitress tried to explain to her what she was getting herself into, “A” went for it. We couldn’t stop laughing when they brought the two biggest hot dogs we have ever seen and sat them in front of her at the table. 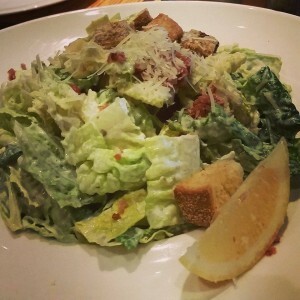 We also shared an amazing Caesar salad and the most delectable and cheesy Poutine I have ever tried. Dinner was beyond delicious and we were so full afterwards! I could have napped happily at the table. 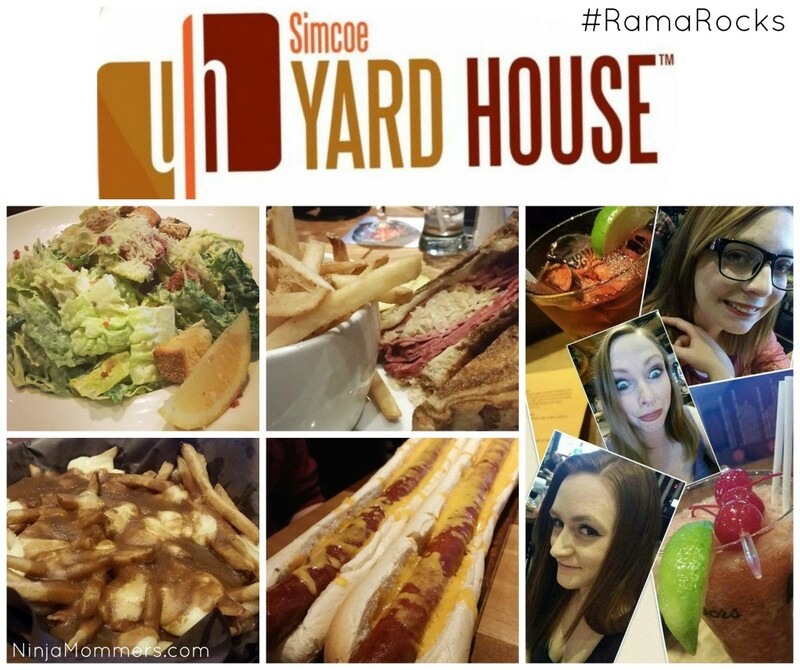 The Simcoe Yard House has a great Promotion on right now! From April 10-26th you can Tap into Maple flavours in Ontario’s Lake Country! 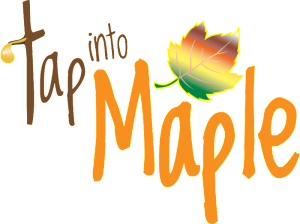 The Tap into Maple menu offered, is amazing! I am going to try and get a sitter so husband and I can go back to the Simcoe Yard House and try it again before it’s over! Can I just say WOW! This was so delicious I couldn’t stop eating it. The flavours really come through and combine to provide an incredible taste experience. 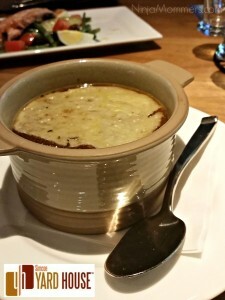 The Thunder Oak Gouda Crostini is an amazing addition to the soup. I could eat this every, single day. I am not sure what I was expecting with this salad, but I don’t think it was this! I mean, it’s just a salad right? No. No it’s not JUST a salad. It was love on a plate! The Smoked Georgian Bay Trout is perched atop some French green beans, tomatoes, niçoise olives, Ontario Fingerling Potatoes, hard boiled eggs and finished off with the most amazing country cider vinaigrette. I was blown away with this appetizer. I will never look at salad the same way again. This was an amazing main course. The smokiness of the Pork chop really came through. The first bite made me make a guttural noise I don’t think I have ever heard before. The mushrooms and the gravy on top, were just an amazing addition, the pork chop melted in my mouth. All this was sitting pretty on top of a Warm Chieftain Potato Salad, Braised Cinnamon & Raisin Infused Red Cabbage and Asparagus Tips. This dish really came together! Every single bite was a beautiful flavour experience. I am moving into the Simcoe Yard House. No just kidding, but after trying this delicious food, I want to eat it every day. 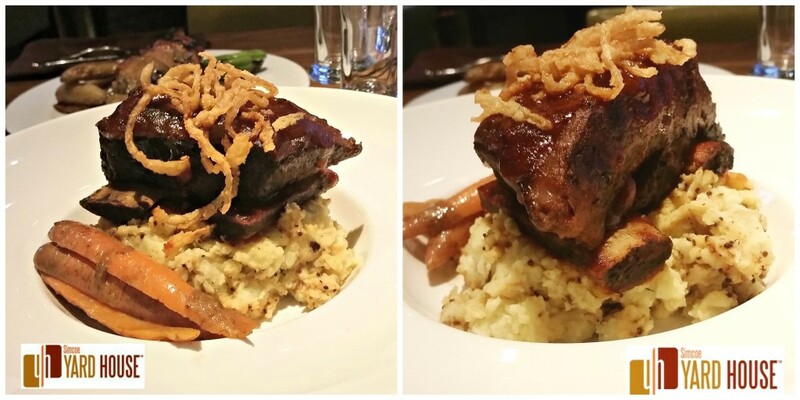 I am unsure how anything is ever going to measure up to these Hockley Valley Beer Braised Beef Short Ribs! I am not kidding about that. The meat was tender, fall off the bone and melt in your mouth good. The old fashioned mustard creamed potatoes underneath them? Oh to die for. Heirloom Carrots? Yes PLEASE! All those in one bite? I was transported to an entirely different world where I could eat until I exploded. This dessert was more than an experience. The first bite took me by surprise! Velvety, Rich, Creamy and Crunchy. The top was like a little skating rink of thin, crispy maple love. This dessert will be in my dreams for the rest of my life! Ok. Cheese cake, Enough said right? WRONG. Not only was this the most amazing cheese cake I have ever tasted, but the ability to change up the flavour profile by adding the crunch of the Malted Milk Crunch or the sweet of the Nutella spread was a great surprise. I am drooling just thinking about this! 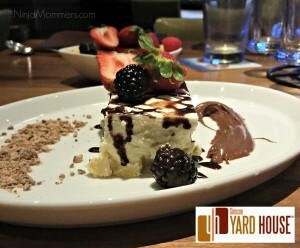 The service at the Simcoe Yard House is spectacular! Every single member of the team went above and beyond to ensure our comfort and happiness with our meals. We even got a visit from the Chef at the Simcoe Yard House! He said: “Oh the Blogger!” Yes sir, I am “the blogger” but you sir, are a culinary genius! Visit Simcoe Yard House for a special prix fixe Flavours of Lake Country menu designed to celebrate Maple! Receive your choice of an Appetizer, Entrée & Dessert with $20 & $30 options. For reservations, call 1-800-832-7529 today, you won’t regret it! 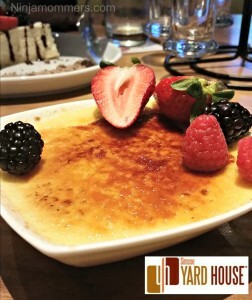 Have you tried the food at The Simcoe Yardhouse? Looks delicious. Now, I am very hungry!